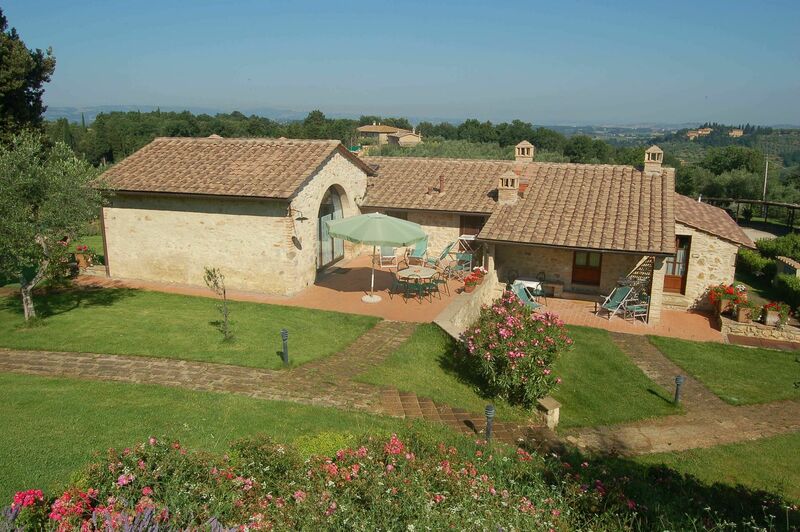 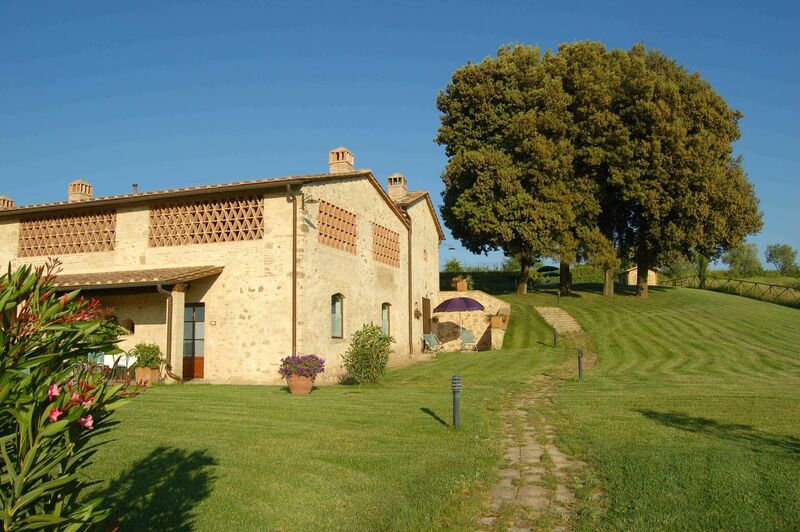 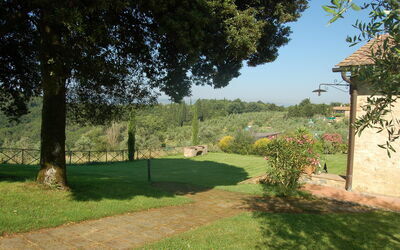 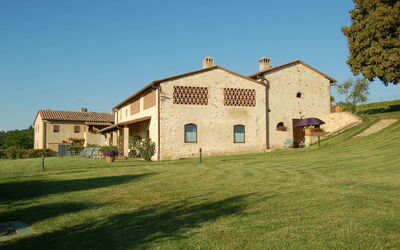 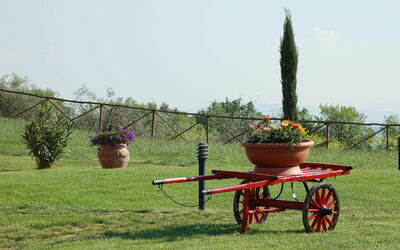 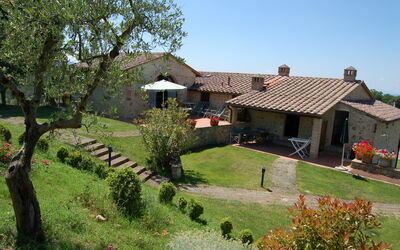 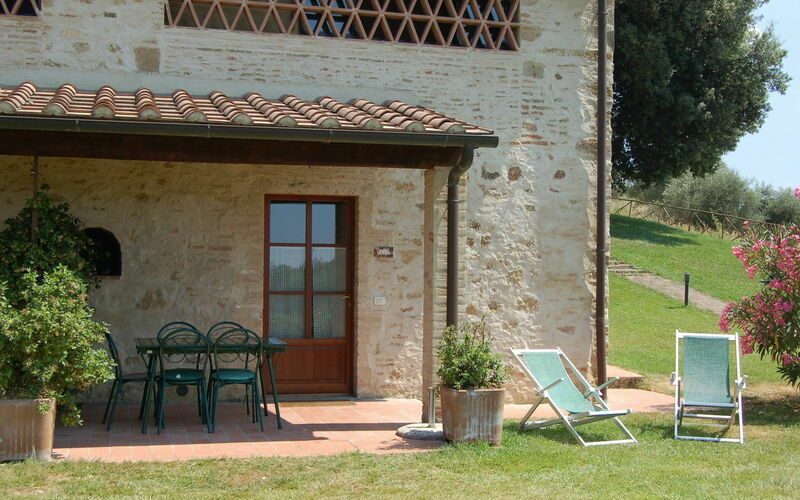 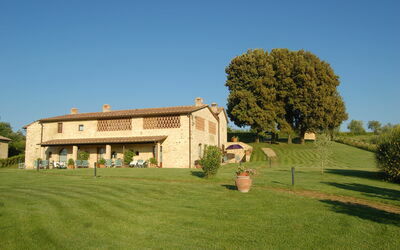 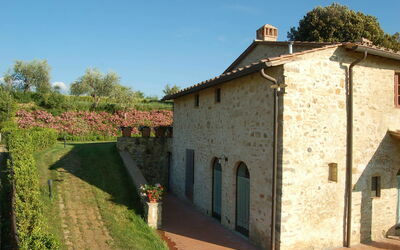 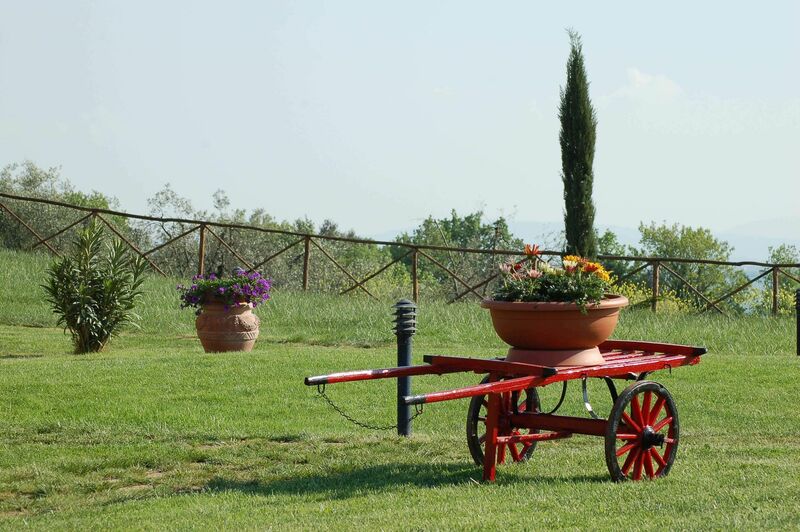 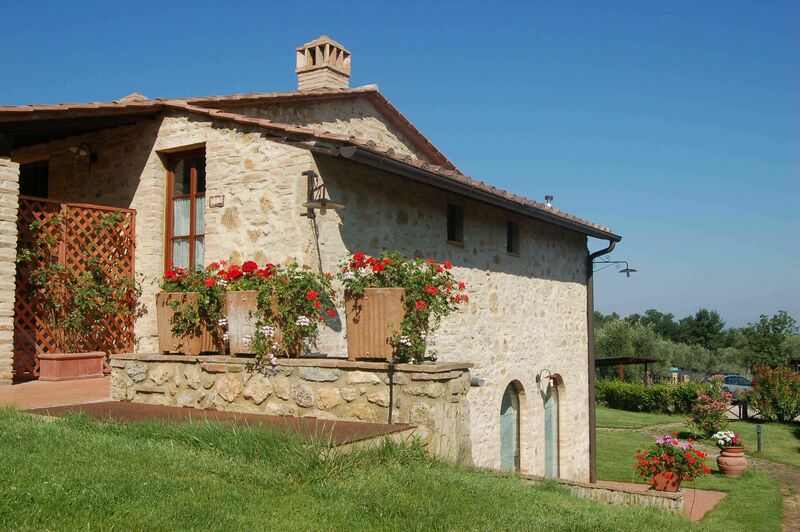 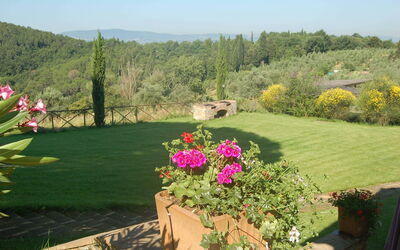 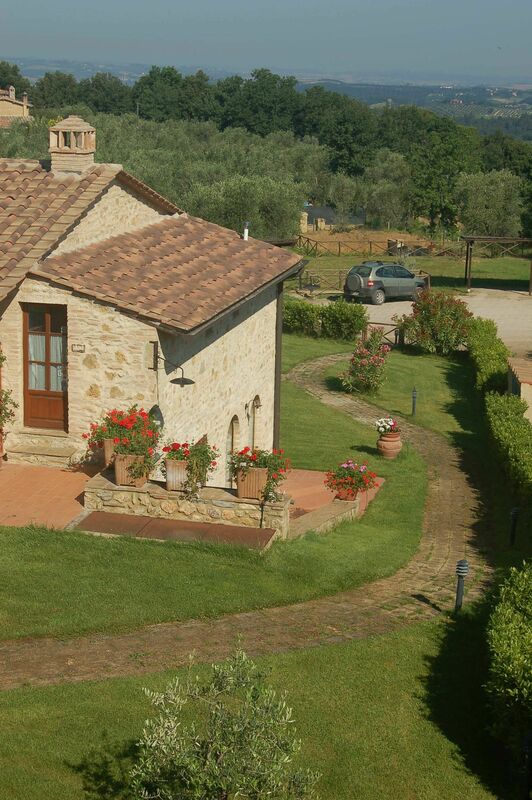 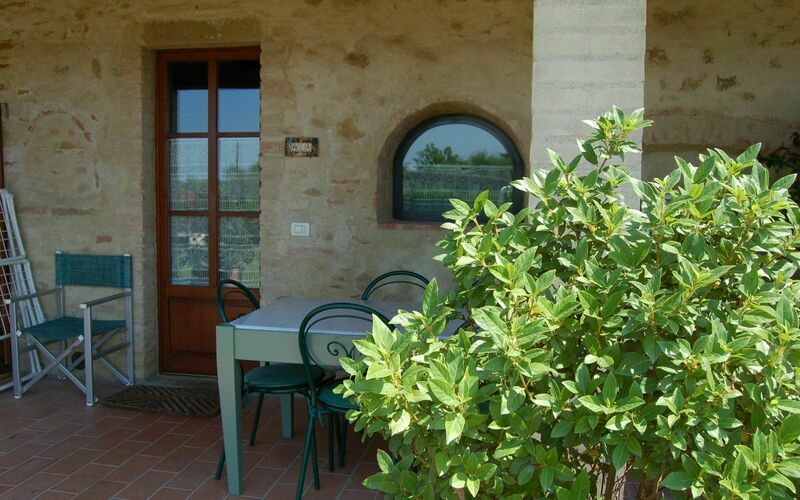 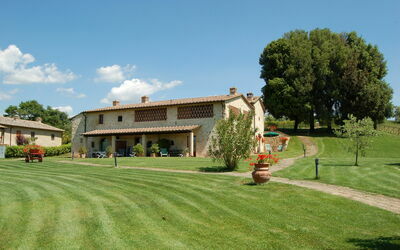 Your Holiday Home to experience the real Tuscan way of life! Vecchio Fienile (Old Barn) is a nice hamlet nestled in the hills of Chianti area. 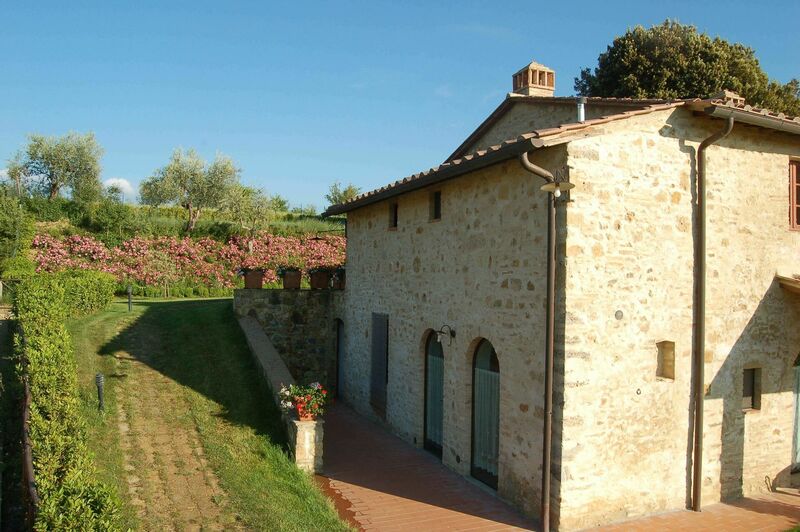 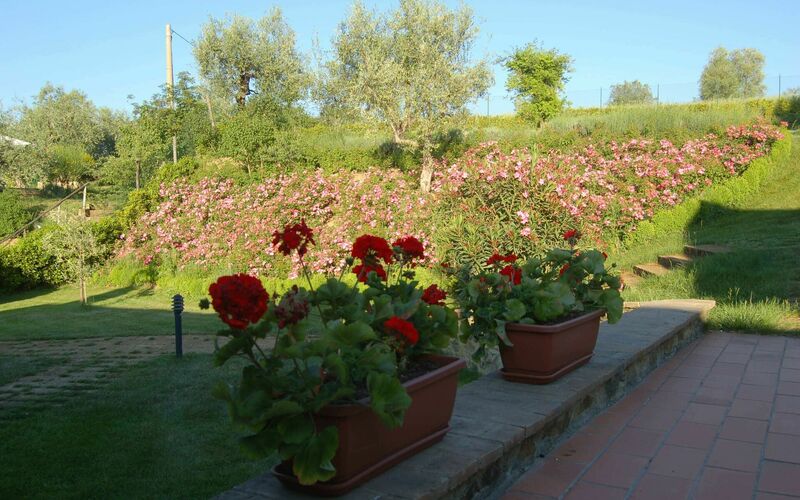 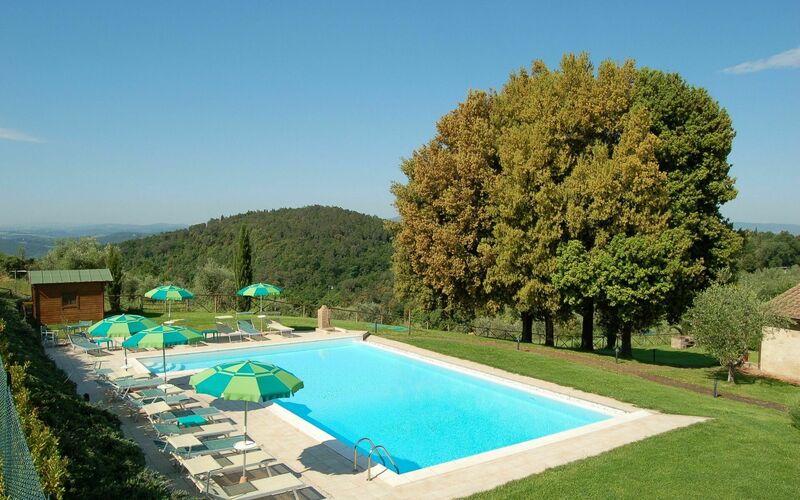 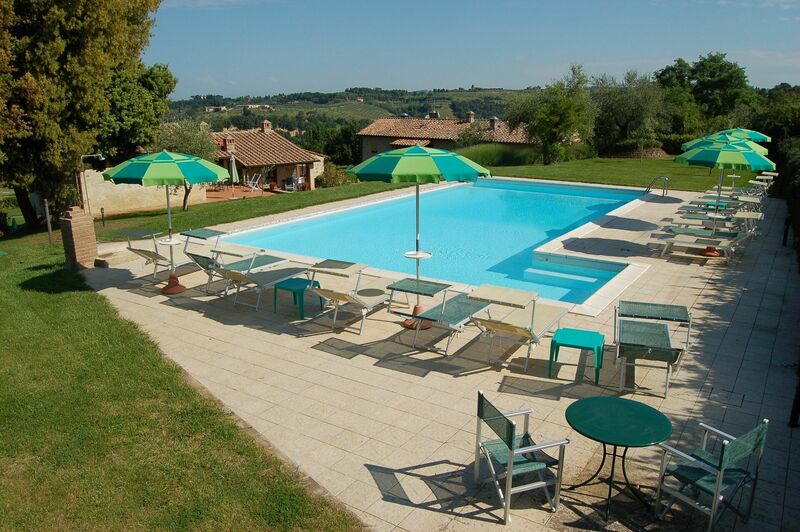 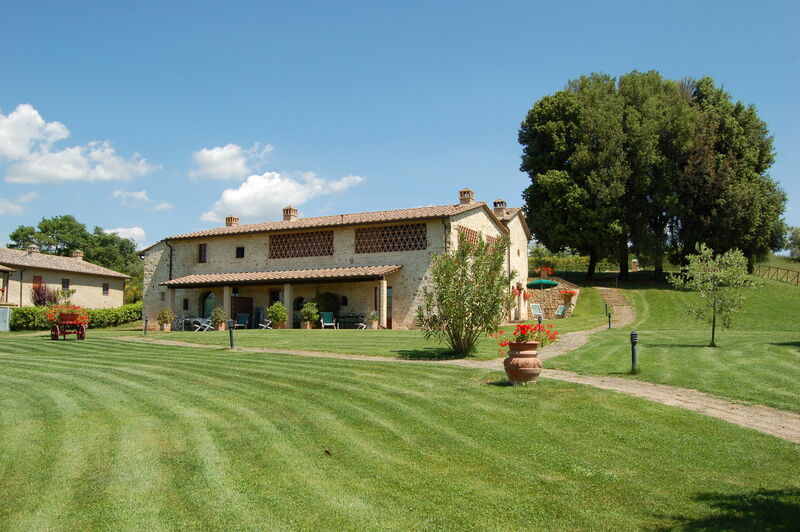 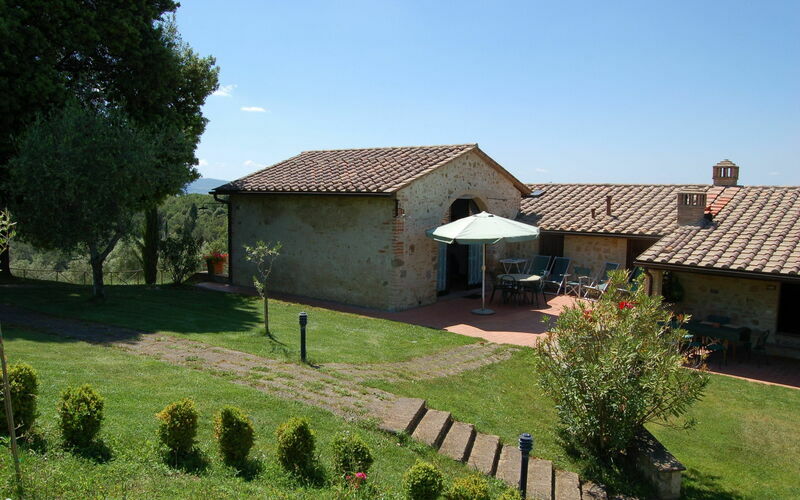 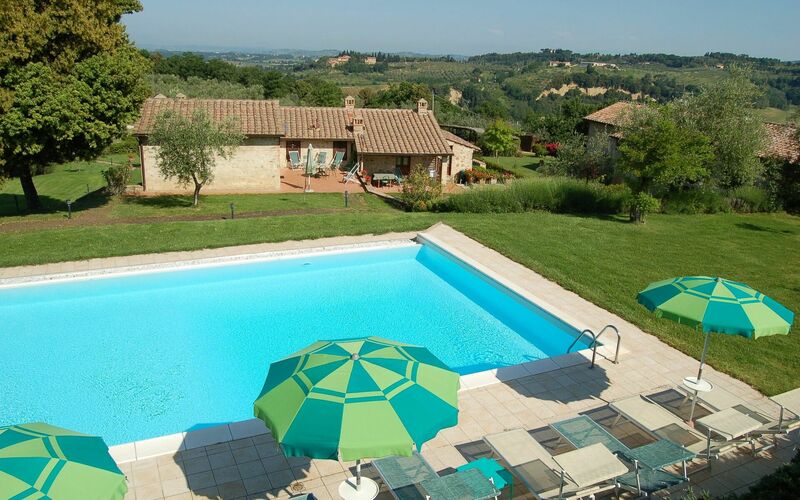 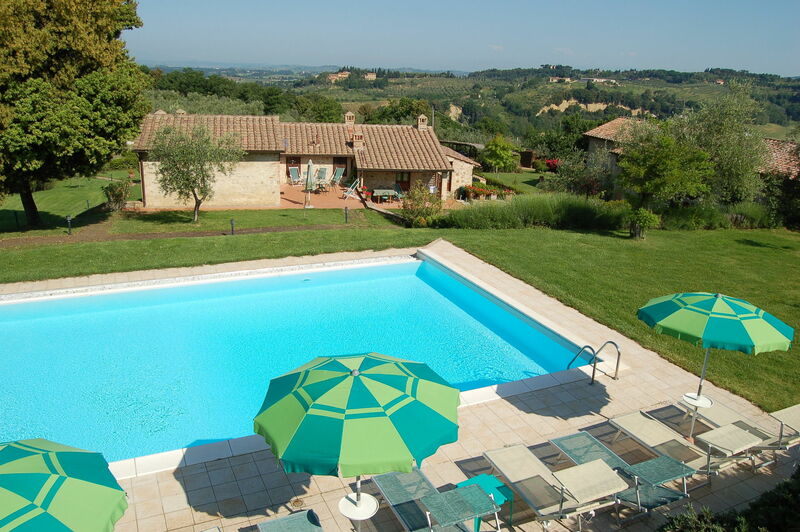 Being very close to both Florence and Siena the villa enjoys a quiet and sunny location with wonderful views over the most typical Tuscan countryside. 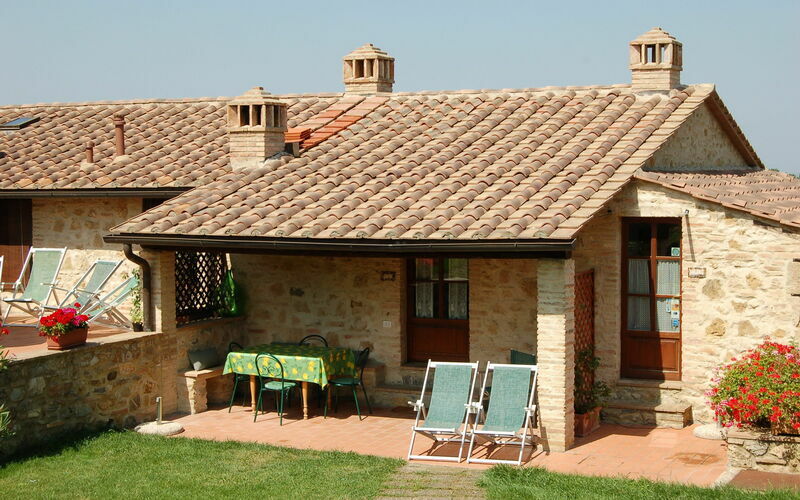 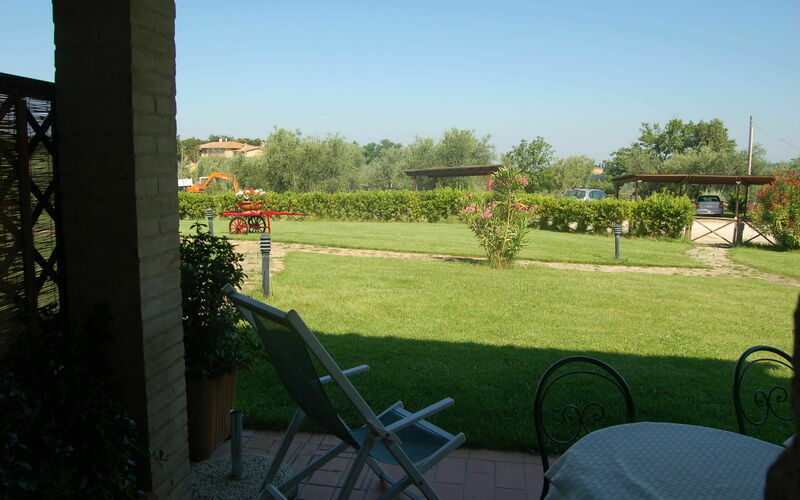 The villa Vecchio Fienile is located only 4 km from the motorway thus taking advantage of very short distances from different city centres and shops, restaurants and other facilities, but remaining in a relaxing countryside only surrounded by nature and silence. Thanks to its strategic position, all main artistic and cultural centres like Siena, Florence, Volterra, San Gimignano, Monteriggioni or the nice towns of the Chianti are at easy reach. The villa has 5 Apartments with private entrances and gardens and a wide shared park offering wonderful views of the Tuscan countryside. 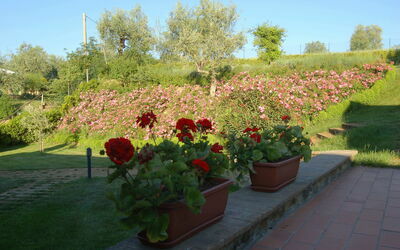 Each apartment has its own furnished terrace for relaxing moments or a convivial outdoor meal. 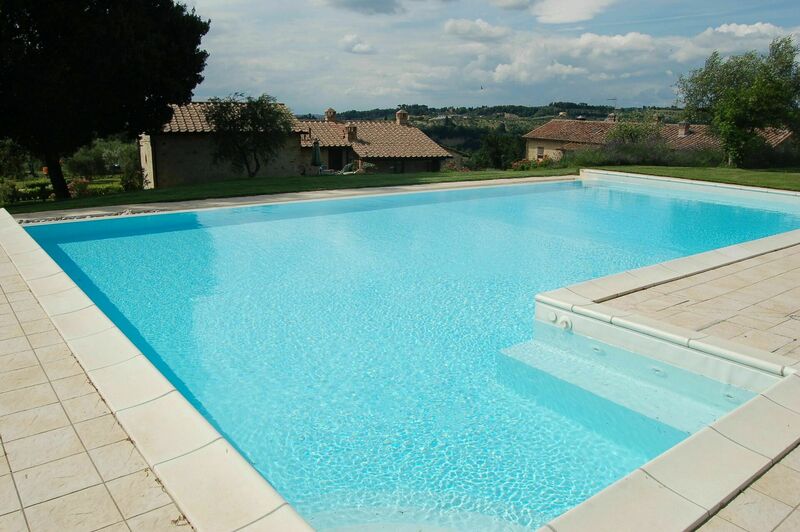 Swimmingpool 14 x 7 mt depth 1.20 to 1.40 mt, is located in the wide garden, on top of a slight slope 20 mt behind the villa, ensuring our guests’ best privacy. 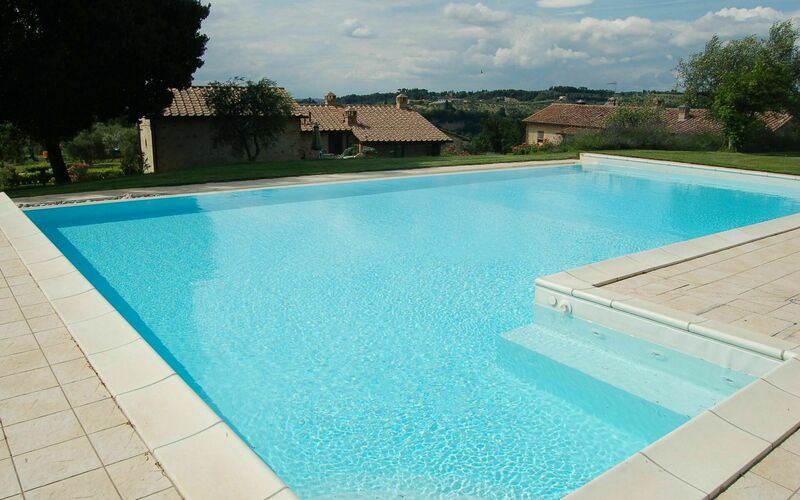 A hydromassage is also available at one end of the pool for relax and wellness. 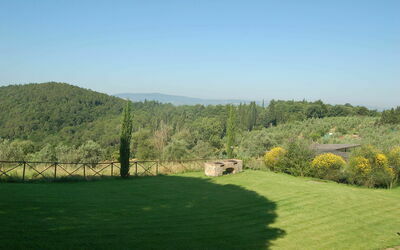 Barberino val d'Elsa 5 km; Poggibonsi 7 km; Siena 37 km. 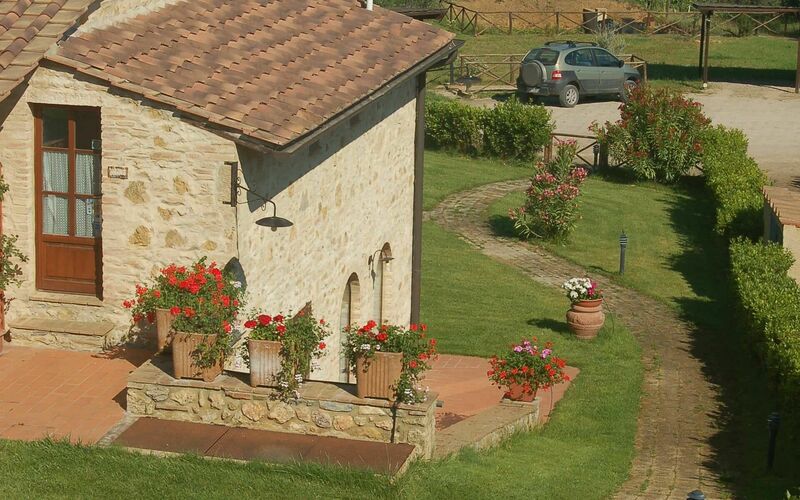 Motor vehicle access to the house: 2 km via unpaved road.